Kids Fishing Day | Expired Events | . 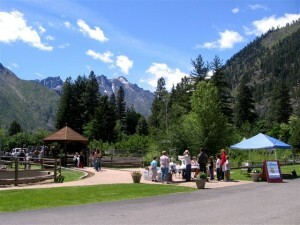 :Friends of Northwest Hatcheries:. Happening Saturday, June 4th, 2011! 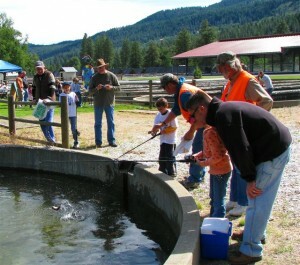 Don’t miss the most fun fishing event this spring, get your kids registered for the annual Kids Fishing Day at the Leavenworth National Fish Hatchery in Leavenworth. It’s all happening on Saturday, June 4th. Families with kids age 5 to 12 are invited enjoy an action-packed session that includes fish identification, water safety, knot tying and includes getting to catch two fish, and it’s free! It’s free! Registration is closed. You are welcome to come as a drop-in after 11:00am. 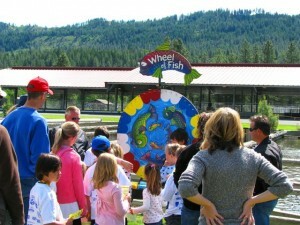 This is the sixth year that the hatchery has hosted the event and it has been enjoyed by hundreds of kids. To register, look at the Kids Fishing Day events listing on the Home page, and choose the fishing session you want to attend. You will receive an e-mail confirmation in your inbox. Fishing fun is waiting for you on Saturday, June 4th, but you must register to attend. Hope to see you there!